The NCAA Basketball Tournament is underway and today is a perfect time to sit around, eat pork rinds and enjoy watching horses and college basketball. In a recent article, I noted that “hot” favorites made for terrible bets in the NCAA Basketball Tournament and North Dakota State fits that description to a T, having won five straight games to punch its ticket to the Big Dance. The Bison were 14-15 prior to that late-season run and now find themselves 26 ½-point underdogs against Duke, which has 16 previous Final Four appearances and a coach — Mike Krzyzewski — who holds the all-time record for tournament wins with 94 (Roy Williams of North Carolina is second with 77). 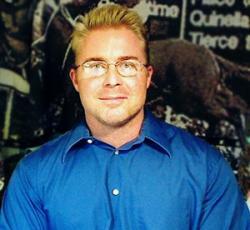 Derek Simon is the Senior Editor and Handicapper at US Racing. Daily Racing News | Horse Racing News Copyright © 2019.